New Lichfield pub ‘The Saxon Penny‘ is due to open on the 18th November (the day before my birthday in fact!). Its name, as you may have guessed, has been inspired by the Staffordshire Hoard discovered a couple of miles up the road. The building of the Saxon Penny reverses the trend which has seen this side of Lichfield lose many of its pubs.The Carpenter’s Arms on Christchurch Lane was demolished and replaced by an apartment block. 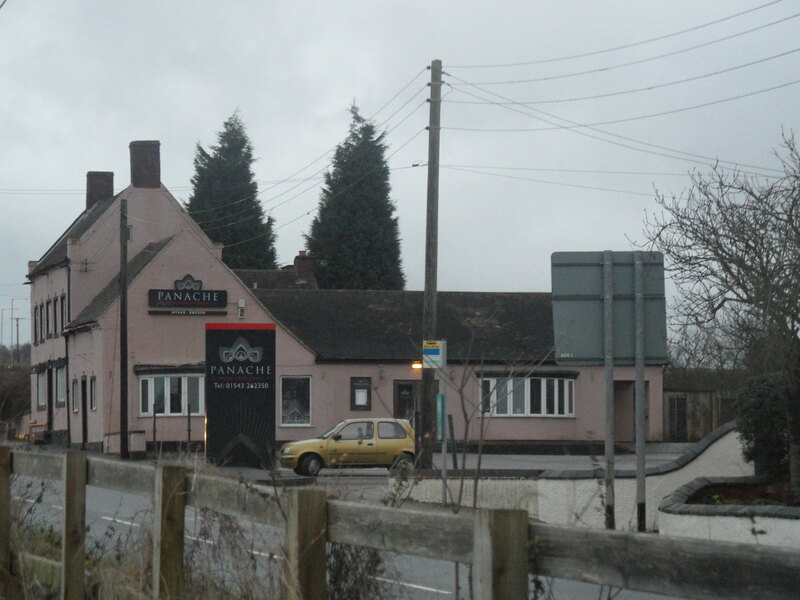 The Three Tuns on the Walsall Road still exists but in the form of a restaurant rather than an inn. 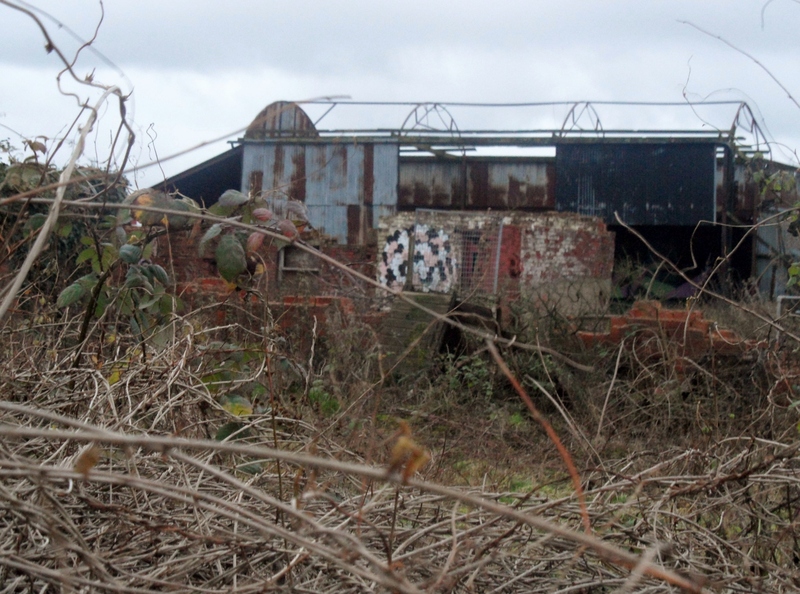 The Royal Oak’s original premises at Sandyway, later a farmhouse, is today nothing more than a pile of bricks and a broken down barn awaiting development of some kind. The pub relocated in the 1860s, to a position a little further up the road at Pipehill, but that too has vanished. 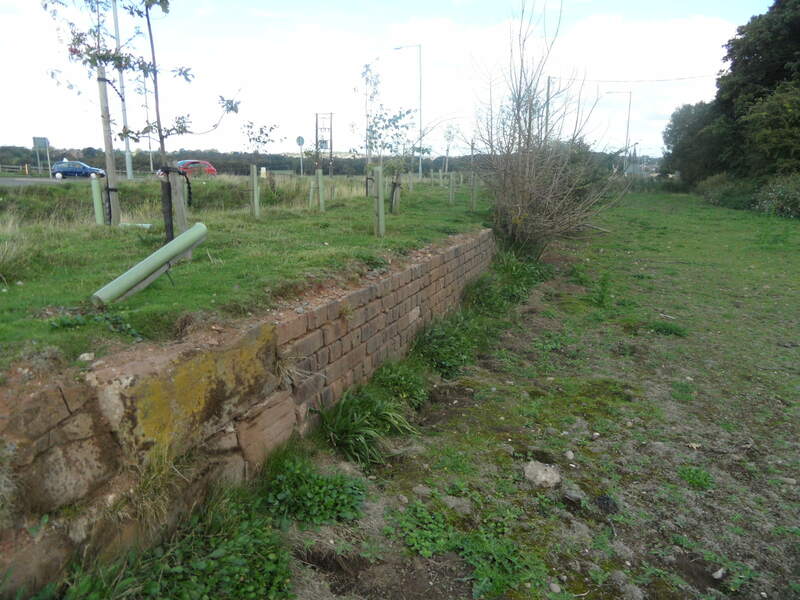 The Royal Oak is discussed in much more detail on Brownhills Bob’s Brownhills Blog here. Last week on my day off I had stacks to do but the sun was shining and so I went for a walk with my Mum up Pipe Hill, on the basis that with Autumn in the air you have to take your opportunities whilst you can (a good call as it happens. I don’t think I’ve seen the sun since!). We stopped to look at the site of the Royal Oak at Pipe Hill. I’ve heard that rubble from the building still remains on site. A chap we met later on the walk told us that there were also three cottages here, cut into the rock and that you could still see the chimneys. Well, of course we looked but we couldn’t see them, and so will need to return once winter has taken its toll on the plant life. In the meantime, I decided to look at the newspaper archive to see what information there was on these pubs and buildings. I found that one of the licensees of the Three Tuns, Frederick Henry Shilcock, wrote poetry as well as pulling pints. Originally Mr Shilcock was in the hosiery trade, before serving in France during the First World War. He arrived in Lichfield in 1938, was at the Three Tuns for fifteen years. An anthology of his work, ‘Poems by a Lichfield Innkeeper’ was published in 1950. It would be interesting to know if anyone has a copy? In October 1907, a young chap called Herbert Smith, a labourer living at the Three Tuns, was charged with being drunk and disorderly in Sandford Street, along with John Fryer, a blacksmith from Leomansley (interesting!). Apparently, arm in arm they walked through Lichfield making a nuisance of themselves by shouting, swearing and jostling people off the footpath. (Old newspapers are full of reports like this – who says binge drinking is a modern phenomenon?!). The Royal Oak landlord George Hodges was fined £1 in April 1940 for allowing a light to show through the front door glass panel of the pub. Although the window had been covered with brown paper there was still one and a half inches showing meaning that the light ‘could be seen distinctly two miles away’. At the end of the Second World War, a VJ party was held at Charles Hollinshead’s Sandyway Farm (which had previously been the Royal Oak) in September 1945, which was attended by 120 parents and children from the Walsall Road and Pipe Hill. The farmyard and barns were decorated with flags and bunting, and each child received an envelope containing a shilling. There was a varied programme of entertainment including a ventriloquist, comedians and ‘Billy’ Atkins and his band. The celebrations ended at midnight with a rendition of ‘God Save the King’. The saddest story is that of an inquest held in September 1884 at the Three Tuns Inn. A young lad, just eight years old, had drowned whilst swimming in the canal near Sandfields Pumping Station. What particularly interests me is that the fact that the inquest was held in an inn. This was not a one off – in the absence of public mortuaries, inquests into unexpected or unexplained deaths were held in several of Lichfield’s public houses, and the same thing happened in villages, towns and cities across the country. I’m reading more about this and hopefully will be following up with a further post about this aspect of our social history shortly, but of course in the meantime, any comments are welcome! The Cathedral Spire - A Hatchett Job!